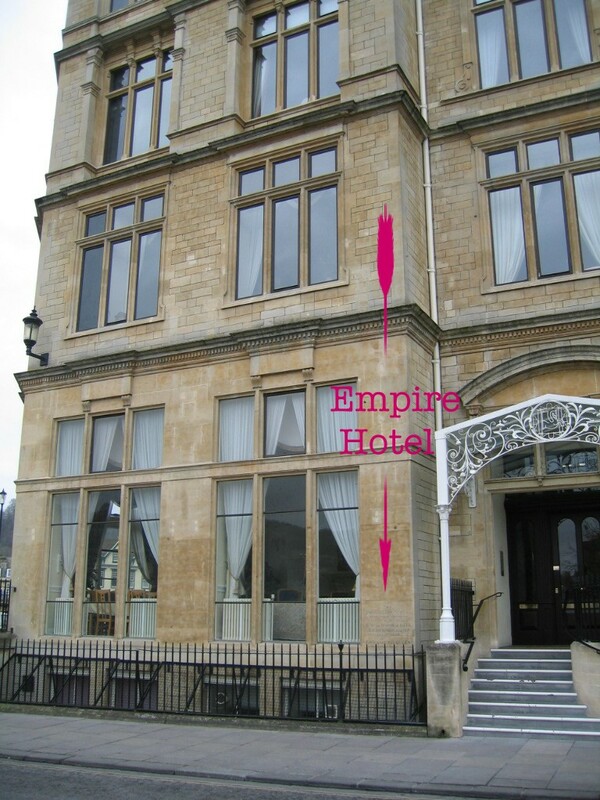 The Empire Hotel was designed by the City Architect, Major Charles Davis, and built 1899-1901. "An enormous and eccentric Queen Anne Revival building" [Forsyth, 2003], it was requisition by the Admiralty in 1939 and remained in their possession until 1995. It has now been converted into apartments and restaurants. by the Rt. Wl. 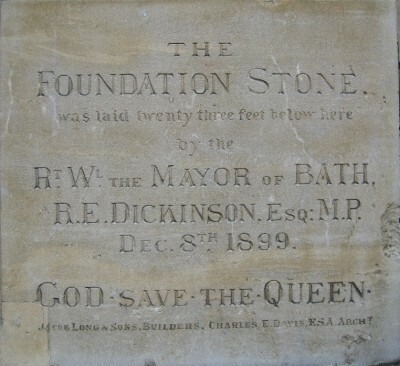 the Mayor of Bath R.E.Dickinson. Esq: M.P. Dec 8th 1899. Jacob Long & Sons. Builders. Charles E. Davis F.S.A. Archt."